Natural Chem’s total solution offered to fleets and industrial users willing to commit to using Eco-FuelsTM. 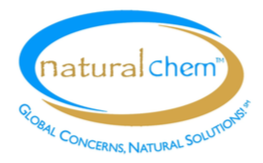 Natural Chem’s marketing plan is to offer a quality solution to truck fleets and industrial users. Both diesel and biodiesel blends always will be available to Natural Chem’s Eco- FuelsTM customers. 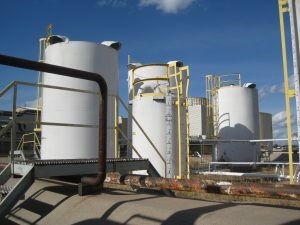 Customers can either pick up the products at the Eco- FuelsTM|Terminals or have them delivered into their own storage tanks in their own fleet yards. NATURAL CHEM PRODUCTION/SUPPLY. Natural Chem will be responsible for the production/supply of the Eco-FuelsTM. To assure quality, all diesel will be obtained from an established refiner and tailored to seasonal weather conditions. All biodiesel will be “distilled” guaranteeing high quality with no flow issues or filter blocking problems. Winter blends will have additives that address cold weather issues. ECO-FUELS TM ADVICE TO FLEETS ABOUT FUELS. Natural Chem’s staff includes two former senior engineers with Texaco with expertise in motor fuels. Natural Chem will offer advice to fleets about the use of its Eco-FuelsTM with various makes and models of trucks and buses that are approved for use with biodiesel. GUARANTEED DISCOUNT FOR ECO-FUELS TM COMPARED TO DIESEL ON A PER GALLON EQUIVALENT BASIS. Natural Chem will offer fleet and industrial customers that agree to purchase a significant volume of the Eco- FuelsTM favorable pricing that will guarantee a substantial discount to diesel prices on a “diesel gallon equivalent” basis. For large fleets that use several million gallons of diesel per year, the savings will amount to several hundred thousand dollars per year. CONFIRMING IMPROVED CARBON FOOTPRINT. Natural Chem will work with various environmental groups to assure the fleets buying Eco-FuelsTM that they get the maximum environmental benefit from using clean burning biodiesel, Biodiesel has a more than 50% reduced carbon footprint compared to ULS diesel. “ONE STOP” FUELING SOLUTION. Natural Chem’s intent is to offer a“one stop” fueling solution so that trucks and buses do not have to make two stops to meet their fueling needs. Natural Chem will consider supplying “diesel exhaust fluid” (DEF) for sale at each Eco-StationTM as DEF use is required under federal law. Natural Chem is also considering saddle tank fueling at its Eco-FuelsTM terminals.